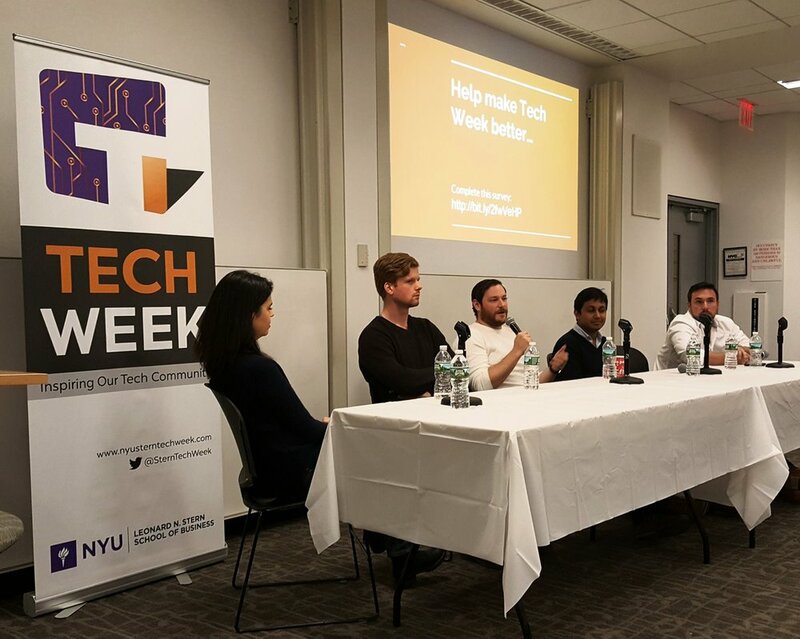 Tech Week is the annual flagship technology event hosted by the Stern Technology Association at NYU Stern School of Business. The week is a conversation between MBA students and tech industry leaders about the challenges, trends, and innovations in the industry. This year's sessions will span career opportunities, hands on learning, and trends in technology. Our goal is to dive deep into the MBA’s place and value within tech companies. Throughout the week, students will learn about the key skills they can develop at Stern to be successful in the tech industry. Current Stern MBA students, Stern alumni, students from other New York business schools, and other NYU students are all invited.